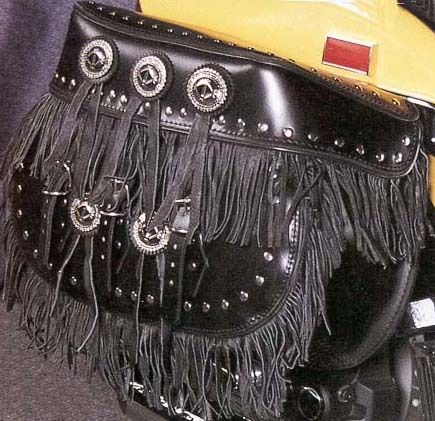 This Quality Black Motorcycle Bag features fringe, studs and silver tone conchos. This Bolt-on bag fits softail models 1986 and up. Sizes: 20" x 13" x 7"